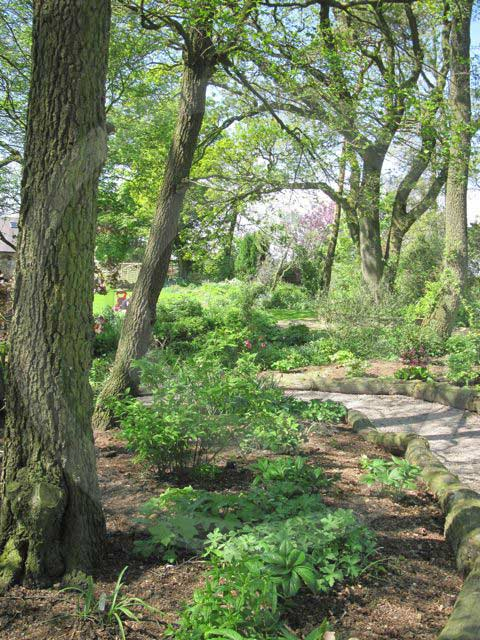 Cobble Hey farm and Gardens in Lancashire is a wonderful place to see some stunning examples of just how creative, colourful and tranquil, shade gardens can be. At 600 feet above sea level, the land of Cobble Hey farm could be very exposed and troublesome for the gardener. However, Dave and Edwina Miller have created a tranquil, natural garden that is a real joy. Trees play a major role in this garden, host to a multitude of wildlife and in their dappled shade the planting schemes prove that colour, form and structure can easily be achieved. Throughout the woodland glade the soft colours of the Helebores are lifted by the silvery foliage and blue and white flowers of Brunnera. Astrantia and Geraniums are surrounded by the ground cover of delicate Epimedium, Heuchera, Tiarella and wild violets. This area opens out onto a pond with a Japanese themed garden, who’s simple planting scheme includes Iris and Bergenia. Wildlife gardens and the Geranium collection are complimented by a fruit and vegetable garden. 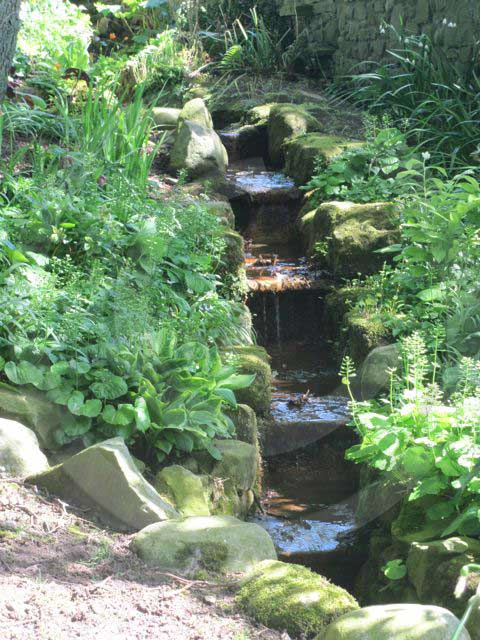 Many ponds and streams, flanked with hostas and other herbaceous perennials flow through the gardens, further enhancing the tranquility and providing a home to invertebrates and a welcome source of water for the garden’s abundant wildlife. If ever there is doubt about how many plants can be grown in shade or dappled shade, then this garden is a real inspiration and we have created a list of some of the plants we found. Cobble Hey is also a working farm and there are plenty of activities for children along with opportunities to see some rare breeds. Facilities are excellent and there is something for everyone, including the tea room serving delicious home made cakes and snacks. Cobble Hey Farm & Gardens website. Cobble Hay Gardens Plants List – A selection of shade and semi shade loving plants found in the gardens of Cobble Hey, along with some useful supplier details.